Twenty games have been played now and many more to come! It’s a beautiful thing being able to watch back to back to back soccer games every day. On Wednesday, all the teams who were expected to win did so, and all the players who were expected to score, scored. Spain beat Iran 1-0 on a fortuitous but deserved goal from Diego Costa. Uruguay beat Saudi Arabia 1-0 on a goal from Luis Suárez after a goalkeeper mistake. And cometh the hour, cometh the man … yet again—Cristiano Ronaldo scored for Portugal to lift them past Morocco. Thursday’s action is headlined by Argentina versus Croatia. 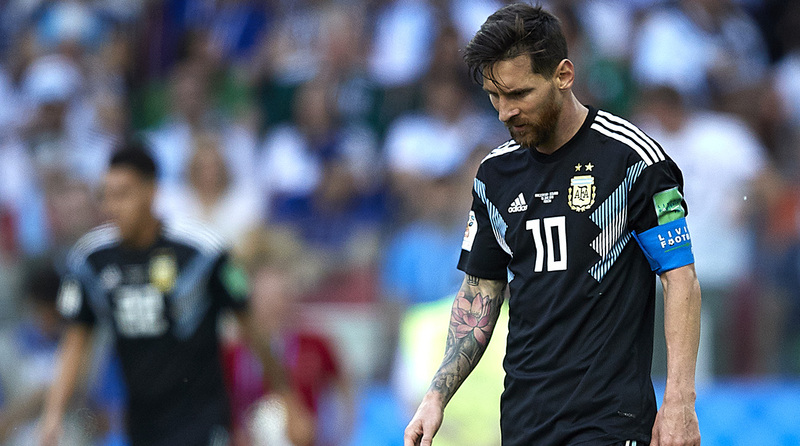 Messi will be looking for redemption after a missed penalty in Argentina’s opener against Iceland. He will come up against a tougher defense and even tougher midfield where he lines up against Barcelona teammate Ivan Rakitić and Real Madrid ace Luka Modrić. Croatia have had some internal problems after they sent home striker Nikola Kalinić for refusing to come on as a substitute in their opening game against Nigeria. They are left with only one true center forward in Mario Mandzukić so fingers crossed he stays injury-free. Any game involving Lionel Messi doesn’t warrant a suggestion for another player to watch: sit back and enjoy the show from the greatest player on earth. For Croatia however, Luka Modrić can be just as entertaining in his own right, the way he dictates the pace of the game with his passing and movement away from the ball. France against Peru will be an exciting game. Peru showed true guts and initiative in their opener against Denmark even if the score line didn’t reflect it. France were a little hectic in possession in their opener against Australia so they will be looking to get ahold of the game against a tricky opponent. N’Golo Kanté proved once again why he is one of the most effective ball-winners in the world and he will be one to watch. For Peru, keep an eye out for André Carrillo. The attacker was all over the place against Denmark and he could cause problems for France’s back line. Finally Denmark will face Australia in the other Group C matchup. Denmark’s little magician Christian Eriksen will have to operate in a midfield where Aaron Mooy of Australia will try to make life difficult. It will be a key matchup and whichever team wins the midfield battle will be on the winning side. Those are my two picks for players to watch in that game. Regardless of the outcomes, I hope everyone enjoys the spectacle of another great day of World Cup soccer!